The custom printed Chinese food boxes come with multiple traditional values and the custom designing that revolves around the Chinese concept of food. They are easy to carry, can be disposed of properly and are affable for holding various food items especially the food items of the Chinese origin. The overall designing and custom color printing gives an aesthetic appeal to the overall packaging. 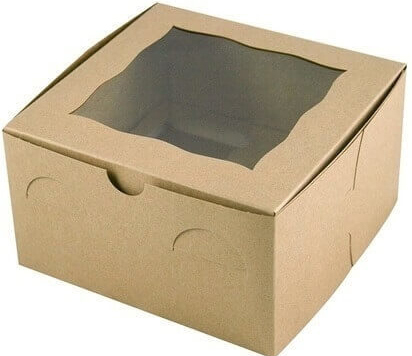 The custom Chinese food boxes wholesale are available in a variety of custom sizes and the shapes and a well-designed packaging solution can help you boost your restaurant's promotion in the vicinity. There are a variety of custom design options for these Chinese food boxes and you can choose for yourself which tactics serve best for your restaurant. You can choose to print the custom logo of your restaurant or other Chinese calligraphy to attract lovers of Chinese food. Custom Packaging Pro can help you provide a clear insight into the topic. Every culture is important and comes with a few traditional values that can't be ignored because they hold primary importance in the true demonstration of that culture. The same goes for Chinese food, many people seem addicted to Chinese cuisine but it isn't the food itself that captivates them, it is the Chinese tradition that actually allures them. Keeping that in view we at Custom Packaging Pro brings a wide variety of the custom Chinese food boxes, depicting very clearly the Chinese culture and appreciation to food in eyes of the Chinese tradition. There is a lot of variety actually and in a variety of shapes, sizes, and designs to facilitate your target audience. These custom Chinese food boxes come in a variety of styles such as simple Chinese food boxes or foldable food boxes. Every Chinese oriented restaurant can use these boxes for their particular packaging needs. Due to a plethora of customizability in terms of the shape, size and the overall design you are never out of options and can very easily adjust your product into these packaging boxes. But if you are involved in the wholesale food business and require the transport of the materials such as spices, herbs, and other essentials then we have also got you covered. We provide the Printed food cartons that are versatile and safe for the long shipping of the supplies. If you had to choose one particular thing that strikes you as a specialty among these custom Chinese food boxes what would it be? Of course, it would be the custom printing because that is the only specialty that can help your brand in terms of the advertising. With the custom Chinese Takeout Boxes, the overall appreciation of your restaurant or Chinese food brand can be increased dramatically. Our team of engineers and the graphics designers using the most advanced infrastructure will help your brand to get there. Whether you provide us with your personal insight about the designing of these custom Chinese food packaging or ask for our professional advice, both ways we will make sure that you actually get what you are looking for. Given the current necessity of the consumer market that you have to provide with eye-catching and breathtaking packaging designs in order to stay afloat in the market. That’s where we come to rescue, we will help you choose the most mesmerizing designs for your targeted market and the whole printing design would be marked with uniqueness and exclusive creativity to make your brand stand out from the others. In terms of customizability, there is just no comparison between simple and plain packaging boxes and custom built packaging solutions. Both commodities are different, gone are the times when the conventional packaging tactics helped brands improved their status in the market and before the customers. Today only the custom printed Chinese food boxes can help you make a considerable impact in terms of sales, customer appreciation and dominating the market. Another great quality of these custom Chinese food takeout boxes is that these come with a great degree of customizability in terms of size, shape, functionality, printing and the overall designing as well. You don’t have to order a completely new batch for the Chinese food takeout boxes just to adjust a few more items, you can increase the surface area by stretching the design of the packaging and making room for more. There is a special degree of customizability associated with these packaging boxes. 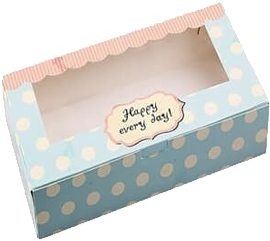 All the packaging boxes manufactured by the custom packaging pro have a special aesthetic appeal to them and that is what brings the best possible results in terms of sales and advertising of your brand. Further addition of the customizable features in terms of the size, shape, color and the overall designing will convince your customers to only buy your specific food product. Our designing team also strives hard to introduce the latest trends in terms of the Chinese traditions and designs so your product would look updated and in sync with the latest market trends. If by any chance you are indulged with the local Chinese restaurants and food businesses and provide wholesale services to such brands, then Chinese food boxes wholesale can help you up your game there. We have a large display of the wholesale custom Chinese food boxes for you to choose from. Apart from such a vast library, you can also choose to bring your own idea or creative design and our team of professionals will help you to create amazing and lively designs that not only inherit the Chinese traditions but are also the latest in terms of the consumer market. Custom Chinese food boxes are high in demand because of their popularity among the customers and also for the uniqueness and customizability they bring on the table. This is not the whole story, some other tricks are hidden under the sleeve of these custom Chinese food boxes such as affordability, economical product solutions, and environment-friendly values. Yes, custom Packaging pro can help you choose the right set of Chinese food boxes wholesale that are light on the pocket but heavy in terms of the instant advertisement of your food brand or restaurant. You won’t have any difficulty in signing up for these custom Chinese food boxes because they are affordable and at the same time provides the feeling of uniqueness due to its creative designing. That is why buying the custom Chinese food boxes is the best option for your brand to survive from other competitors. So, are you ready to take your restaurant or Chinese food brand to the next level? Reach out to us today via call or at our customer sales center and get things started. The details are as under; Call: (281) 393-8199 or email: [email protected].